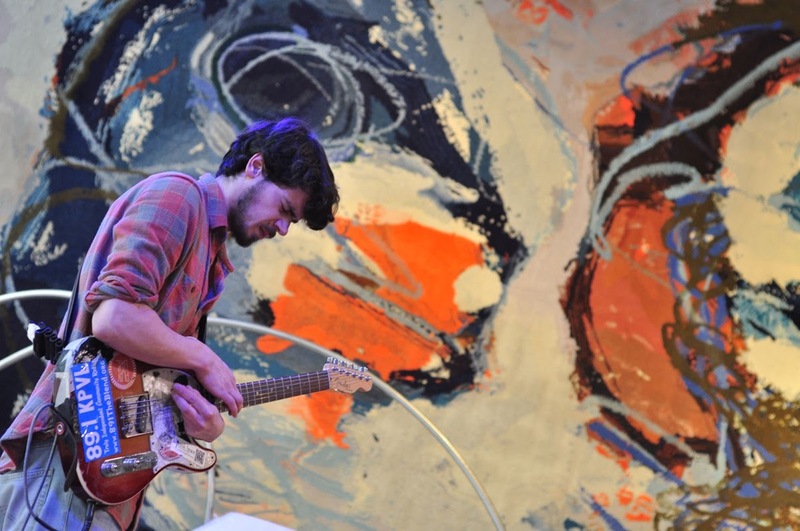 Jasper Stadhouders (Tilburg, the Netherlands, 1989) is a guitarist and bassist based in Amsterdam. He’s performed music on stage since the age of 8. He is an active member of the international improvised music circuit. He is a co-founder of the bands Cactus Truck (with John Dikeman and Onno Govaert), Stadhouders/Govaert/De Joode Trio and two duos with percussionists Dag Erik Knedal Andersen and Nicolas Field. He is also part of such diverse bands as Spinifex and Lily’s Déjà Vu, next to playing countless of ad hoc improv shows. Jasper also occasionally works in the fields of dance, theatre and contemporary composed music. He has played with Han Bennink, Ab Baars, Paal Nilssen-Love, Marshall Allen, Wolter Wierbos, Noel Redding, Ken Vandermark, Jim Black, Andrew D’Angelo, Terrie Ex, Andy Moor, Peter Evans, Frank Rosaly, Dave Rempis, Roy Campbell, Michael Moore, Jeb Bishop, Peter Jacquemyn, Wally Shoup, Ingrid Laubrock, Mars Williams, Michael Vatcher, Alan Wilkinson and many more. Jasper has performed extensively in Europe and the USA, as well as in India.